On April 26,1986, an explosion at Ukraine's Chernobyl Nuclear Power Plant changed history, sending radiation and political shockwaves across Europe. Nearby towns and villages were first evacuated, then abandoned. Vehicles used for evacuation and decontamination became too radioactive to keep. 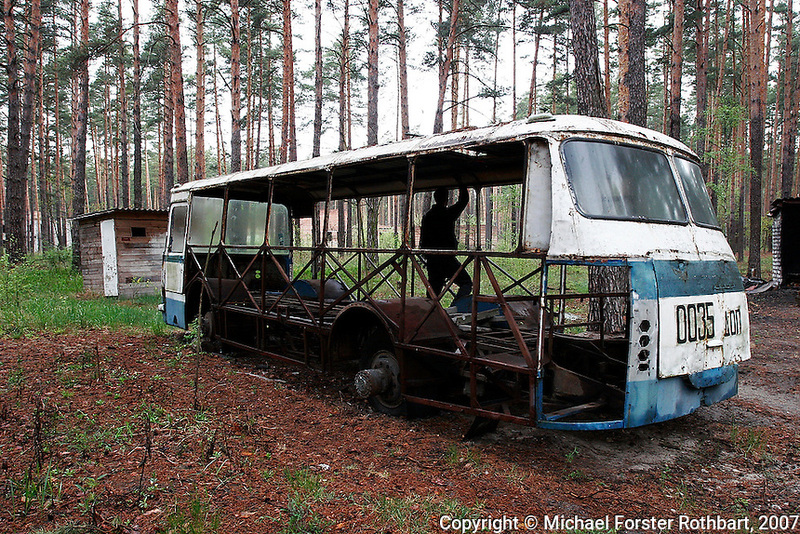 This abandoned bus, stripped of parts, rusts away in the forest near Lyutezh, Ukraine.